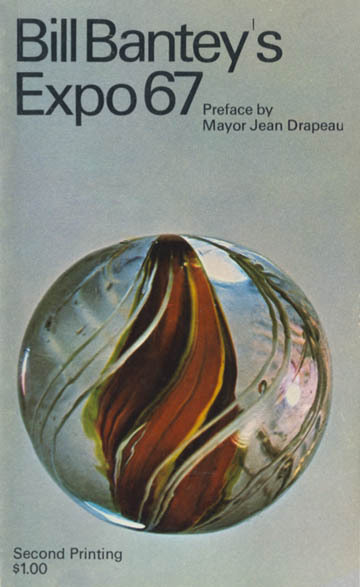 Stand anywhere in the dazzling 1 000 acres of Expo 67 and inevitably, you are faced with what the French call l'embarras du choix, a riches of alternatives that boggles then mind. Where to go ? What to eat ? Bill Bantey's Expo 67 is an active cicerone to the key exhibits of North America's first world exhibition of the first-category - the largest ever held, anywhere. Author Bill Bantey began covering the evolution of Expo before the site even was created. In his daily column in the Gazette and now in Bill Bantey's Expo 67, he provides his readers with the results of years of research and travel in many of the participating countries. In a word, Bill Bantey's Expo 67 leads you directly to what you mustn't miss.